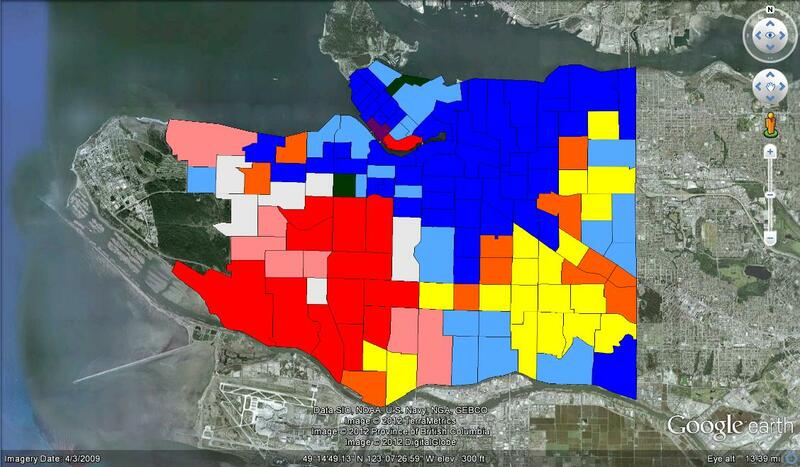 Building on the analysis I did for COPE, here is a map that summarizes at a very high level the voting results in Vancouver. I looked at the ‘winners’ – the candidates that placed in the top 10 for city council, top 7 for parks board, and top 9 for school board in each of the city’s 135 polling districts. 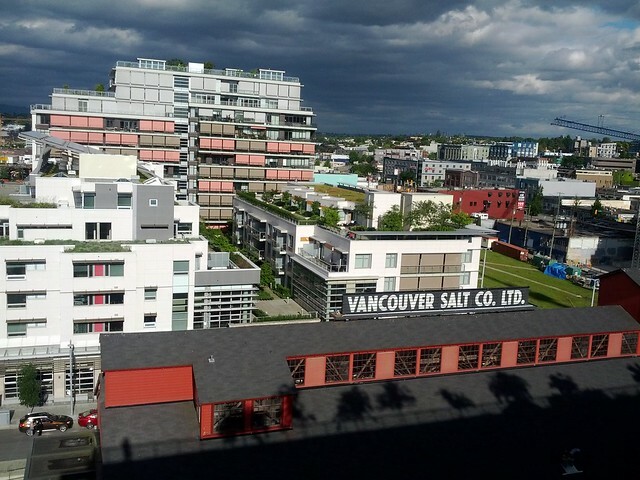 There are a few slates that do well in concentrated regions of Vancouver. Hopefully this clarifies my quote in the Vancouver Courier about ethnic voting in south-east Vancouver and the split between west-side enviros vs east-side social progressive voting blocks. ▆ NPA Slate – In the 21 red areas, every single NPA candidate, all 21 of them, win a seat. The NPA’s strength is in Dunbar, Kerrisdale, Arubutus Ridge, and Shaugnessy. ▆ Mostly NPA – In the 11 pink areas, at least 18 of the 21 NPA candidates win. ▆ Vision/COPE Slate – In the 19 blue areas, all 26 Vision and COPE candidates win. 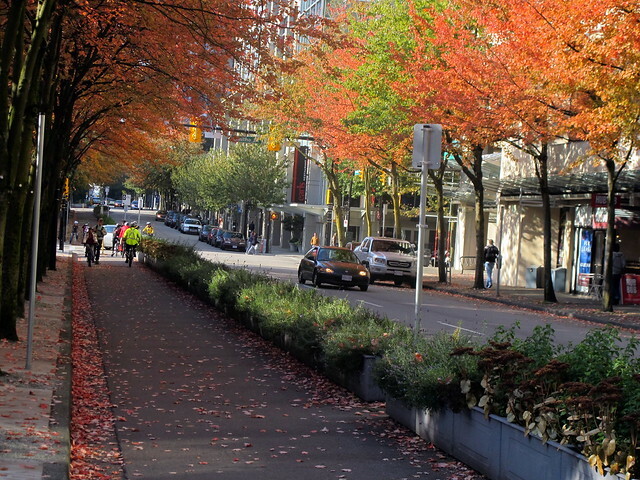 The Vision/COPE slate excelled in Stratcona, Commercial Drive, and Mount Pleasant. ▆ Chinese Slate – In the 19 yellow areas, the 7 candidates with Chinese last names win, regardless of what party they are running for. 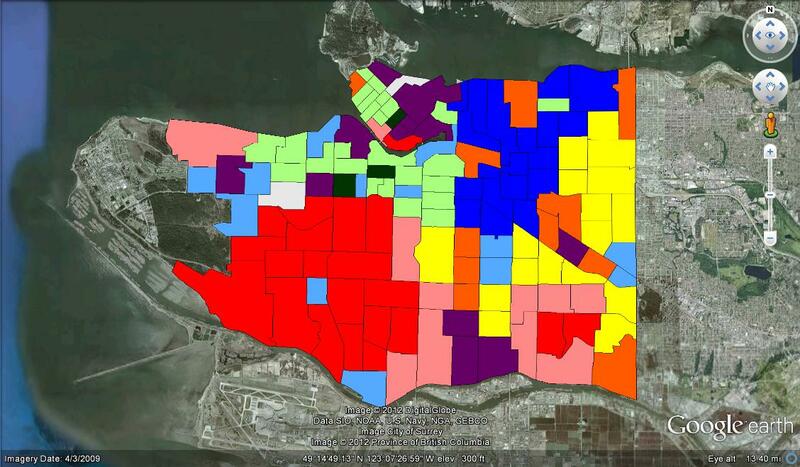 Chinese block voting was the biggest factor in the south-east part of the city – Renfrew-Collingwood, and Kensington. ▆ Green/Vision/COPE – With the addition of Green candidates things get a bit messy. In the 26 light green areas, the Green Party elects at least 2 candidates, and Vision/COPE take most of the rest. 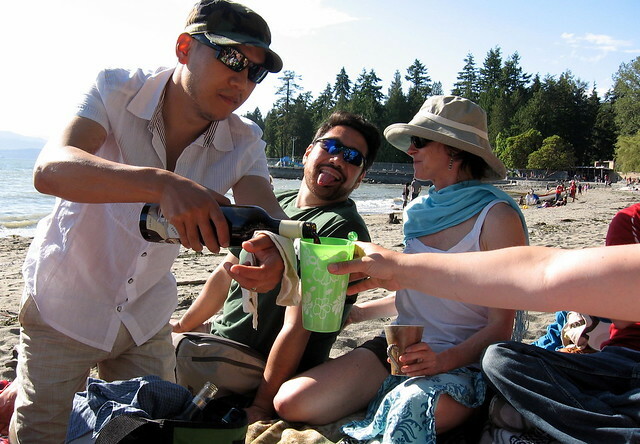 The Green Party does best in Kitsilano, the West End, and Fairview. ▆ Green/Vision/NPA – In the 3 dark green areas, the Green party still wins two spots, Vision does well, but COPE is shut out. This is similar to the purple areas below. 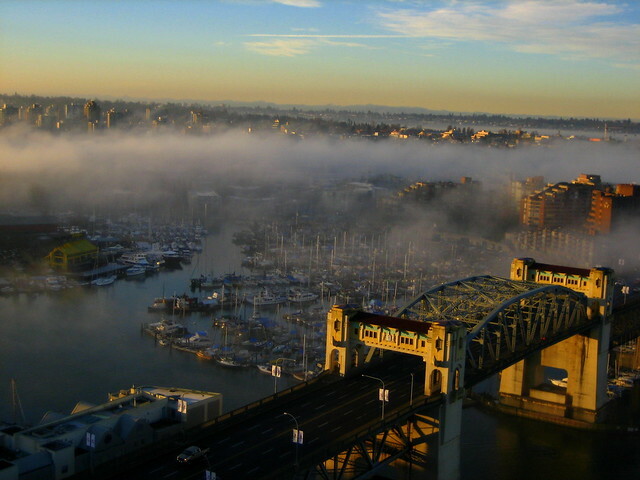 ▆ Vision/NPA Coalition – These are probably the most interesting parts of the city. There are 12 purple polls where all the Vision candidates win, but the remainder of the spots go mostly to the NPA (not COPE or even the Green Party). 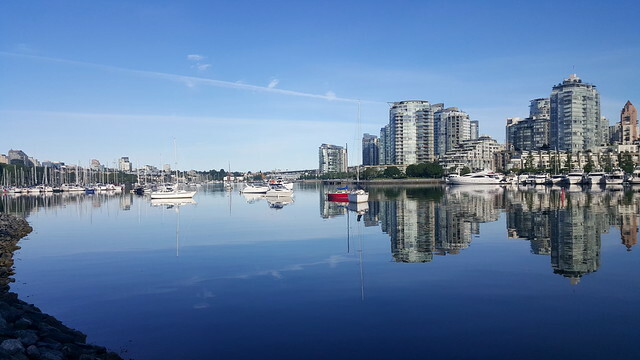 Most of downtown, including Coal Harbour and Yaletown, plus a few polls in the Sunset neighbourhood fall into this category. ▆ Mostly Vision / Strong COPE – In the 11 orange areas, Vision elects most of its candidates and COPE elects at least 5 of its 7 candidates. 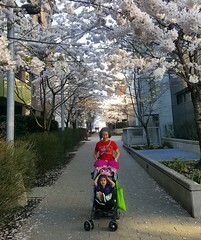 These areas are scattered throughout east Vancouver. ▆ Mostly Vision / Weak COPE – In the 14 light blue areas, Vision elects most of its candidates, but COPE struggles and elects less than 5 candidates. ▆ Mixed – There are 2 gray areas that are a mixed bag that don’t fall into any of the above categories. 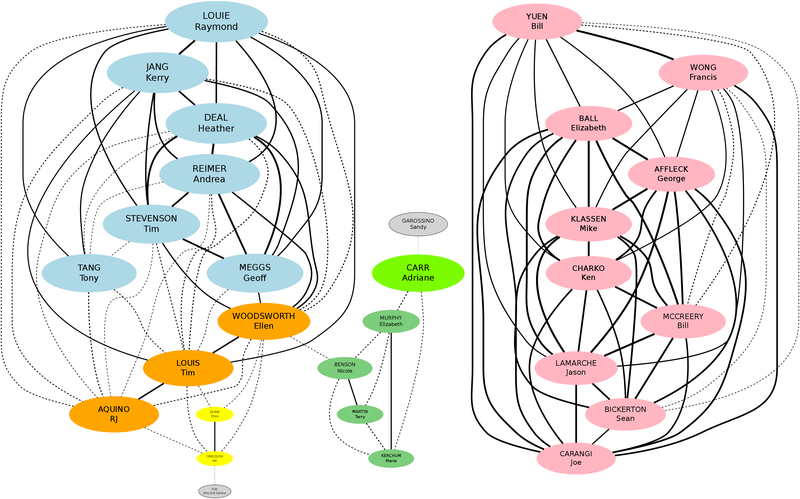 For reference, here’s the 2008 map created with similar criteria (tweaked slightly because the Greens ran as part of the Vision/COPE slate and the numbers of candidates from each party is different). Note: Check out the updated map here. I thought I was done with Vancouver election analysis. But COPE asked me to do some extra work to help their membership understand what happened during the election, and since I like COPE I agreed. It meant less time for Skyrim and posting Vietnam pictures, but I got a mention in the Georgia Straight. The analysis I presented for COPE probably isn’t that interesting to non-COPE members, but here’s a few reasons I think COPE did poorly. David Cadman didn’t run. He likely would have won his seat on council. Every COPE incumbent gained votes (between 1875 and 3736). The worst any incumbent from any party did was Stuart Mackinnon (Green Parks Board Councillor) – he lost 3654 votes. Cadman could have lost over 8,000 votes and still won a seat on council. Vote splitting with the Greens (and to a lesser degree NSV) hurt. You can see it on council, parks board, and school board (see charts below). 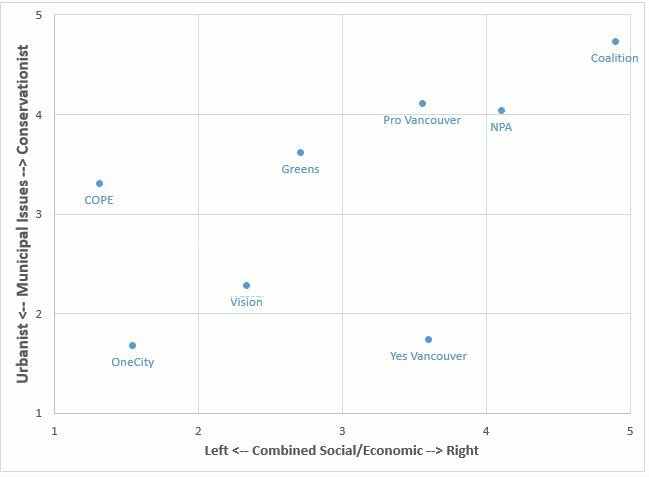 There seems to be a split between social progressives in East Vancouver and enviros on west side of the city. Both supported Vision, but the enviros supported the Greens and the social progressives voted for COPE. COPE had only one Chinese candidate, and he was the only candidate that won. 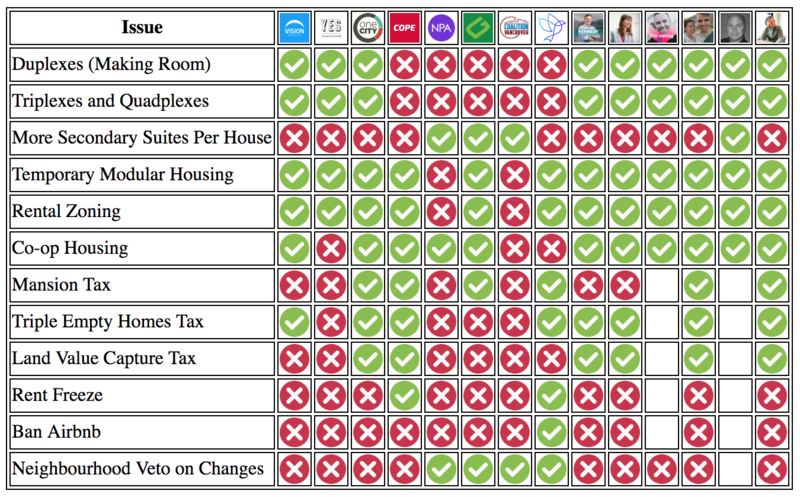 The NPA’s vote stays consistent, but the Vision/COPE vote splits between 15 progressive candidates. It hurt Vision as much as COPE, but Vision had more room to drop without losing seats. Raymond Louie lost nearly 3000 votes and was still the top candidate. This will be my last election analysis post. I promise. 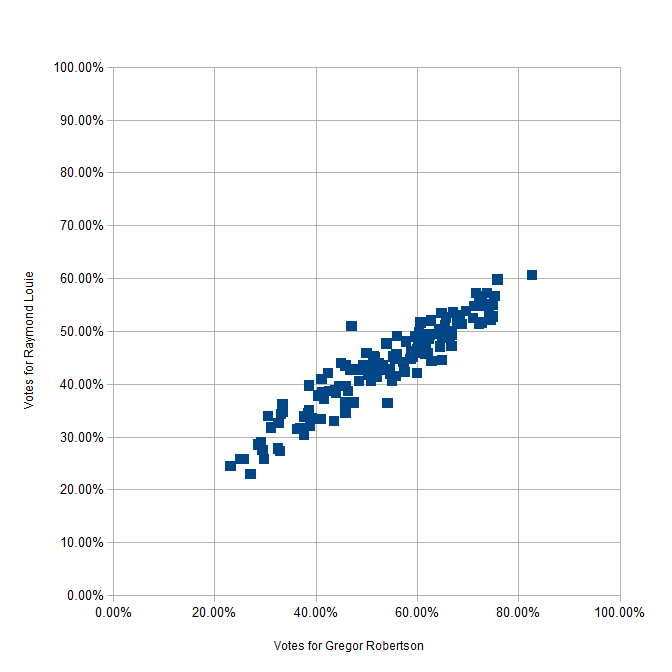 Why Gregor Robertson got 14,000 more votes than anyone else in Vision? Why didn’t Vision’s success help COPE? How did Adriane Carr win a seat? It’s impossible to know who supported Adriane Carr or how many Vision voters didn’t vote COPE, because every ballot is secret. 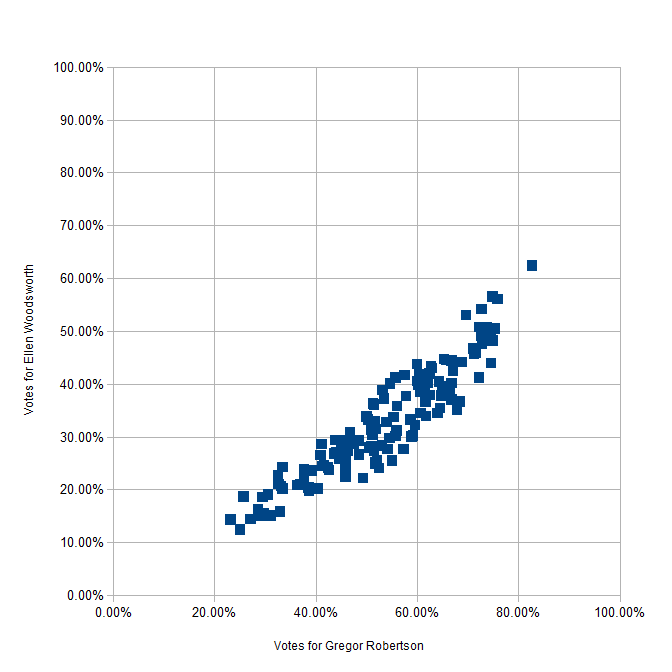 However, if we look at the vote percentages from the 135 polling districts, we can do a correlation analysis to try and answer some of the questions above. 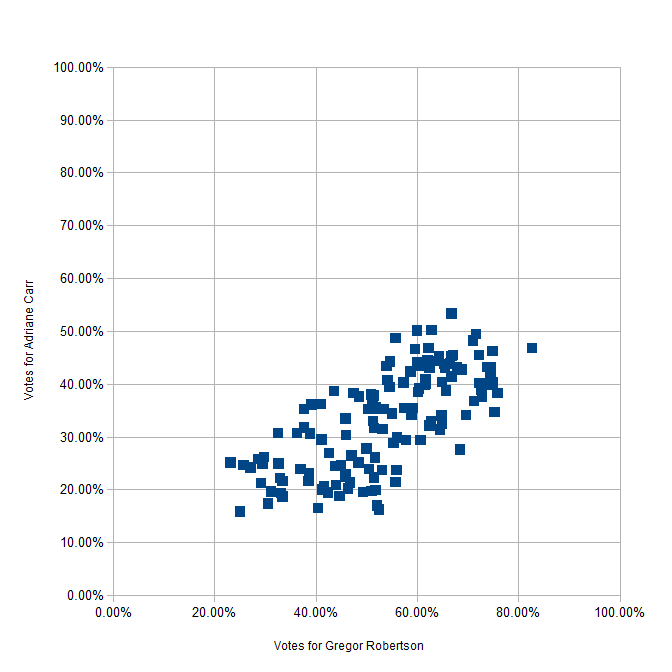 The high correlation between the candidates indicates that their votes were consistent across Vancouver (the same good polls and bad polls). This should be a good proxy for determining if candidates attracted support from the same voters. 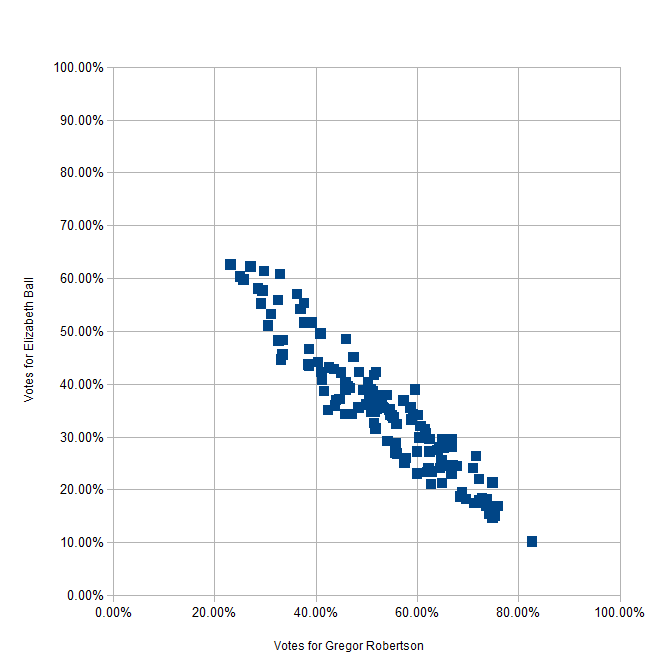 Here are the scatter plots comparing Gregor Robertson’s vote totals to Raymond Louie, Ellen Woodsworth, Adriane Carr, and Elizabeth Ball. The corresponding correlation factors are: 0.94, 0.93, 0.71, and -0.95.